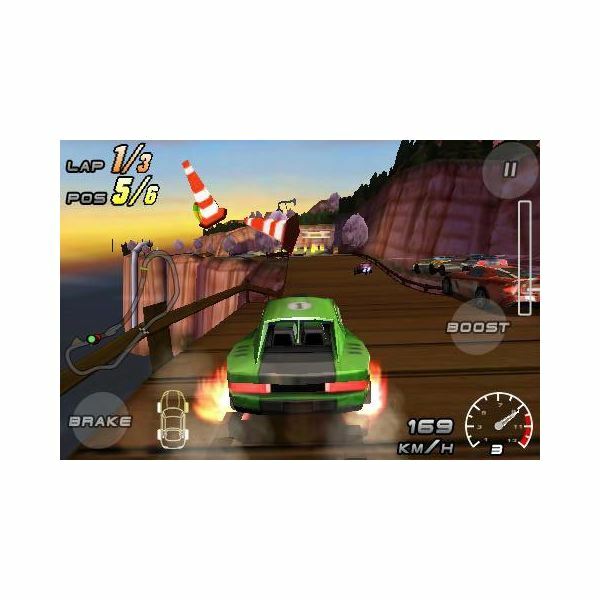 Whether you’re looking for first person, third person or top-down racing or even some form of battle between cars or bikes, there are many driving games available for Android phones. The flexible and exciting Android mobile phone platform has a great selection of games available for it; these can be both free and premium, and are usually available from the Android Market. While not all games are available for all Android devices (something likely to be resolved as devices are increasingly brought under a more closely unified hardware spec and operating system) we have however pulled together an excellent list of the best driving games for Android phones. Available via the Android Market, LightRacer is a fun racing game pitting you against one or two CPU controlled opponents. You race a lightcycle – think classic movie Tron here – and the aim is to block off your opponent, similar to the many Snake variants that have appeared on mobile phones over the past 15 years.This is a great, fun variant of the Snake game with the Tron theme prominent throughout. Both free and premium versions are available. 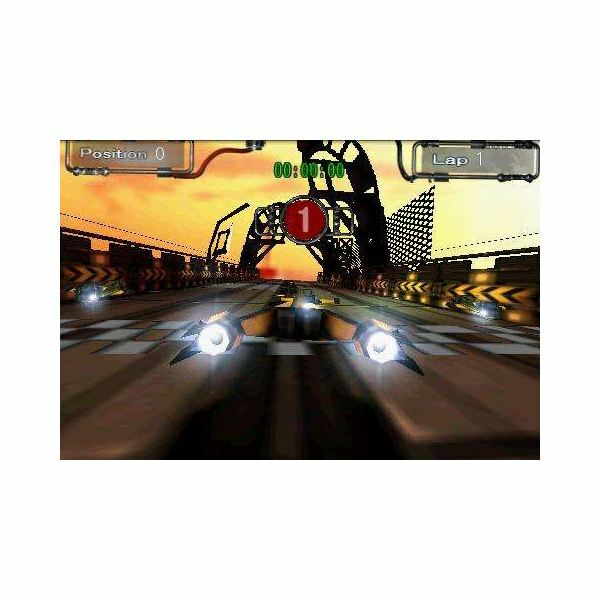 Speed Forge 3D is a car battle game, with weapons, a choice of three vehicles and six tracks to race on. 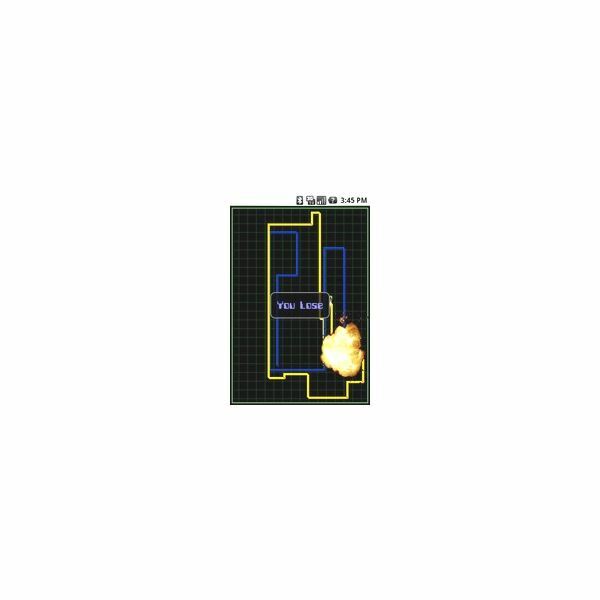 Although featuring three difficulty levels, Easy and Normal modes are both quite straightforward to progress with – and the difficulty level of the tougher mode is probably stacked a little too hard. However, Speed Forge 3D is lots of fun, and is available from the Android Market as a free demo or for $1.99. At last, the second installment of the Raging Thunder series! Designed for high-end Android devices (so don’t go installing this on your LG GW620) Raging Thunder boasts console-quality graphics, and is one very fast game that claims to be the fastest handheld 3D racer on any platform. Available for $4.99 or as a free demo, Raging Thunder 2 is also online-multiplayer compatible! This is a free MMO street racing game, with the twist being there is no racing. 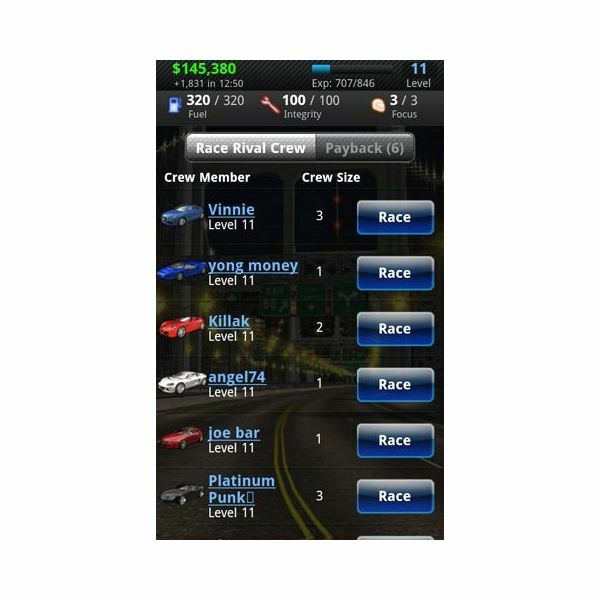 Rather, you arrange races and upgrade cars in order to get the best results, hiring other online players along the way. You might be new to Android or mobile gaming, so by way of a quick explanation, basically mobile MMOs are like Facebook games. Very little actually happens on screen, with the real gaming taking place in the background in the form of formulas and equations. What you see on screen is a graphical representation of these and various logical parameters. Racing Live is essentially a management sim. If you’re tired of rushing around tracks on your Android phone, this is a great alternative. 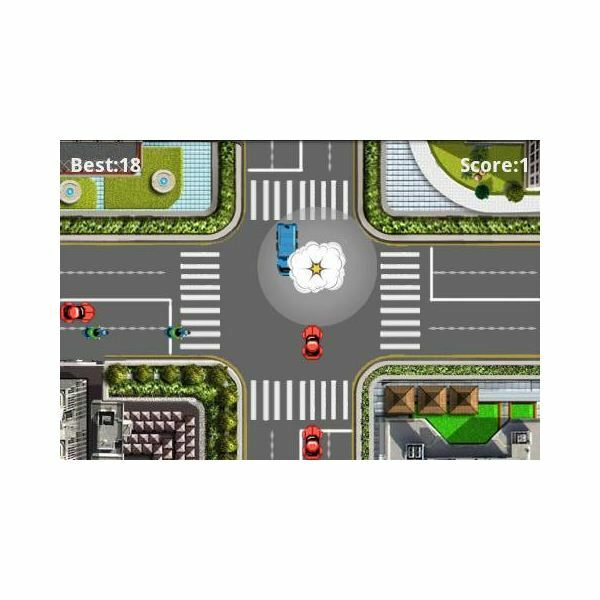 Available free for all Android versions, Traffic Rush is a top-down driving game, visually similar to the original Grand Theft Auto games. Despite the basic visuals – Android phones are capable of much more – this is lots of fun. In fact it might just get you in the mood for the real GTA! Although the difficulty is set quite hard, it is easier to control the game on more advanced handsets. 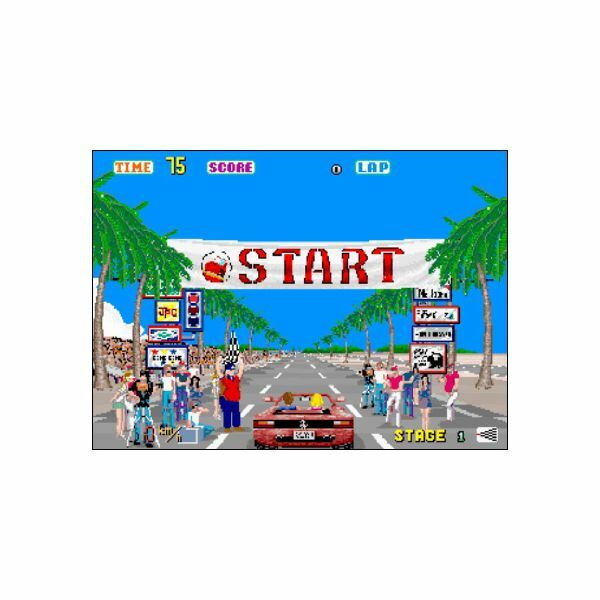 While not a racing game, Nesoid is a Nintendo Entertainment System emulator for Android devices. Claiming to run almost all NES games (for which ROMs will be required) it isn’t inconceivable that you might be able to play retro racing classics using this system. There is a steadily growing emu community amongst Android users – don’t be surprised to see more advanced hardware successfully emulated over the coming months! Nesoid can be downloaded free, although the $3.98 version is needed to save game states. 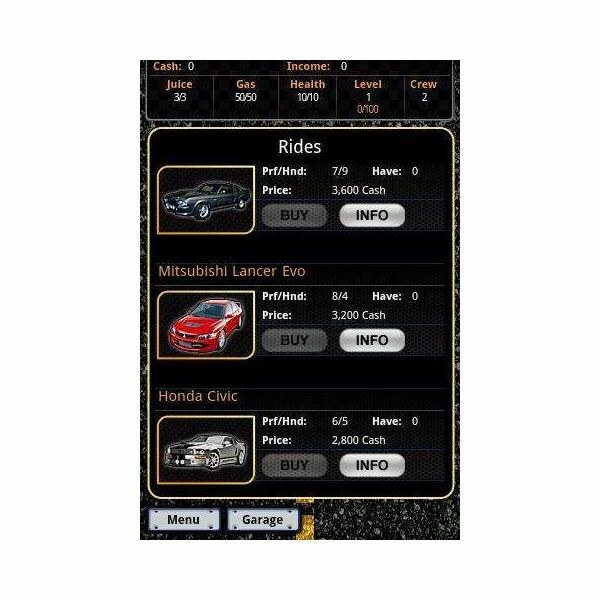 Another free MMO game, Street Racing also puts you in charge of a car and requires you to take jobs and complete tasks to generate income to upgrade the vehicle before your next race. Again, this is a car management sim. Remarkably these games are pretty popular, and despite a simplistic, browser game feel, you can spend a lot of time on Street Racing. 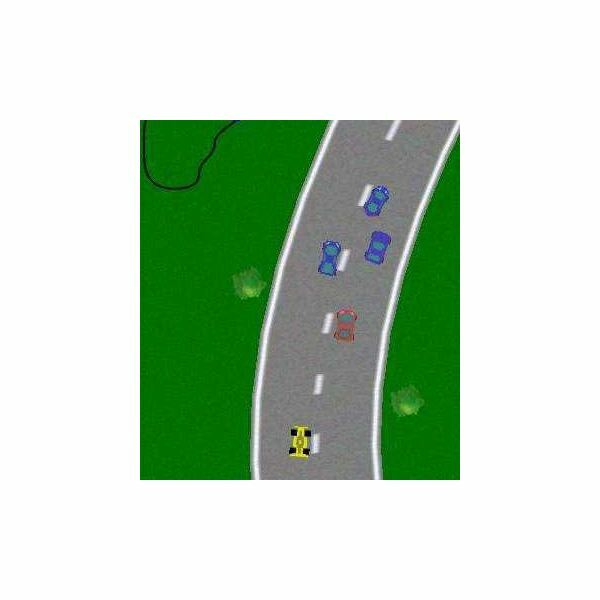 This Micro Machines-esque racing game offers more top-down excitement as you engage with other games online on the same course! Like Traffic Rush, Craig’s Race is evocative of a bygone era in video gaming, where fun and engagement was paramount, and graphics were of secondary concern. With a variety of tracks and routes through them, this game is free. It’s a great choice too – lots of fun! 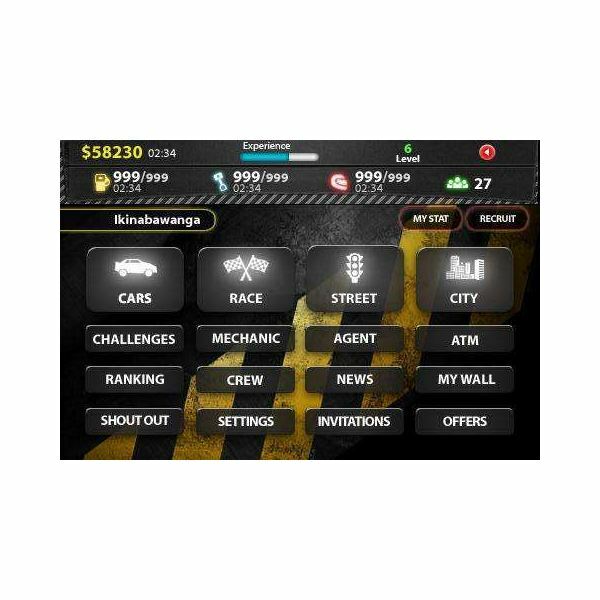 Our third and final car management game is MRacing, and while popular, it doesn’t really add anything to the previous games of this type, Street Racing and Racing Live. This isn’t to say that MRacing isn’t a fun or engaging game – it’s more a case of deciding which of the MMO racing communities you want to be a part of! Free to download, new users to MRacing currently earn 20 free “respect points”. 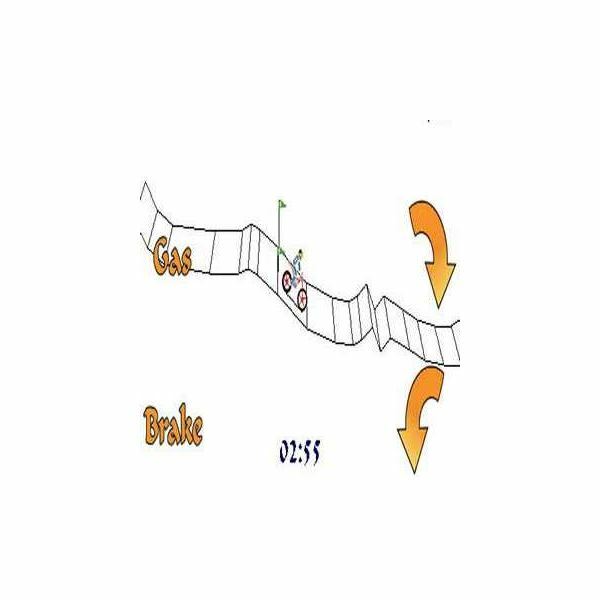 Back to two wheels for the final entry in our list – MotoTrial puts you in charge of a bike on a solo course, so the aim here is to complete the course, stay upright for as long as possible, and do it all with style! This game is free, and is controlled via trackball and touchscreen. MotoTrial can be immensely frustrating and hugely satisfying – usually both at the same time! Each of the best racing games in our list is available to download in the Android Marketplace. Make sure beforehand however that your phone is suitably equipped to play the games; some cheaper Android devices are not equipped with trackballs, for instance.